What if one day you wake up and you have forgotten everything except your name. All your passwords, all your crucial info, all your sensitive information that you need to live a normal daily life. Maybe you need to start your computer to check something but you don’t know the password. What do you do now? Well, if you somehow find a Windows Password reset USB or disk then you can easily unlock your laptop and use it without any hassle. All right, I agree, this part was just a joke. But a password reset disk or USB for Windows is very useful if you somehow forget your password. Getting your PC or laptop running again can be a real hassle if you forget your password so having a password reset disk or usb us really helpful if something goes wrong. 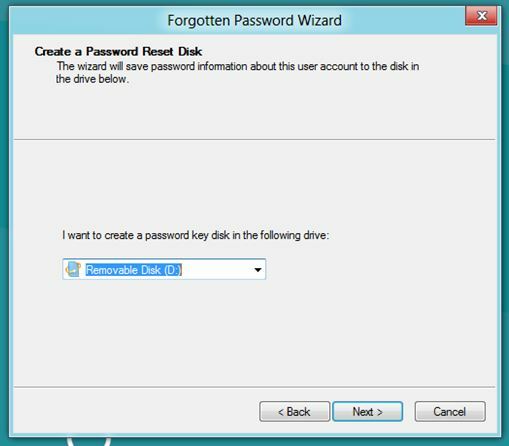 In this post I will show you and guide you through the process in which you will learn How to Create a Password Reset Disk or USB in Windows 8. 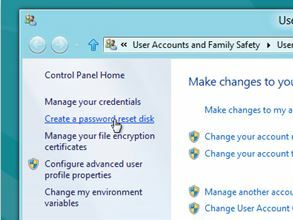 Now follow these steps carefully in order to create a password reset disk or USB in Windows 8. Press the Windows key on your PC’s keyboard along with the F key. 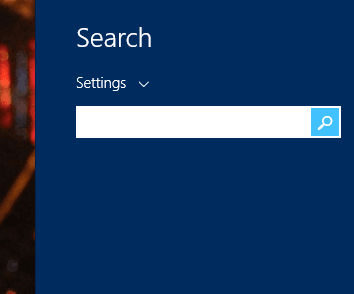 The combination is Windows + F.
This will bring up the search function. Now you have to select Settings in this search menu. See the image below. 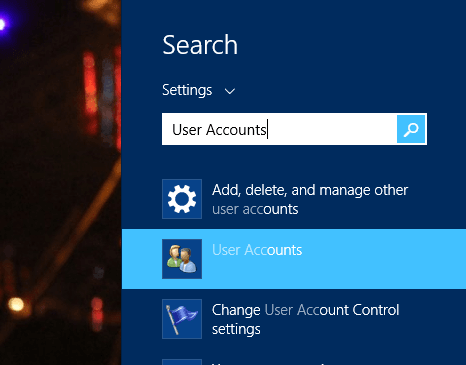 Now you have to type in User Accounts here and you will see these options. Check the embedded picture below. Now on the left side on the page search for Create password reset disk. See image below. Now after clicking on the above given link you will now see a wizard pop up. Click Next and then choose the USB or Disk you want to create password disk on. Click Next and then move to the next window. Now you will have to enter your current Windows password in this window. Click next and your password reset disk or USB will be created in no time. 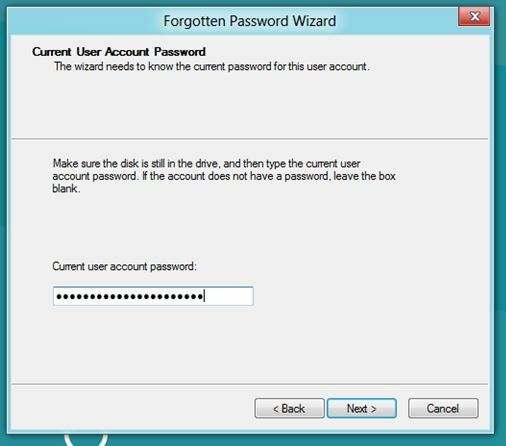 So, this was how to create the Password Reset Disk or USB in Windows 8. You can now use this disk anytime when you forget or misplace your password. Now in the next part we will see how to use this disk in order to reset your Windows password. Now when you forget you password, just click on Reset Password and and you will be asked to enter the password reset key USB or disk. Then choose the USB or disk you entered and click next. 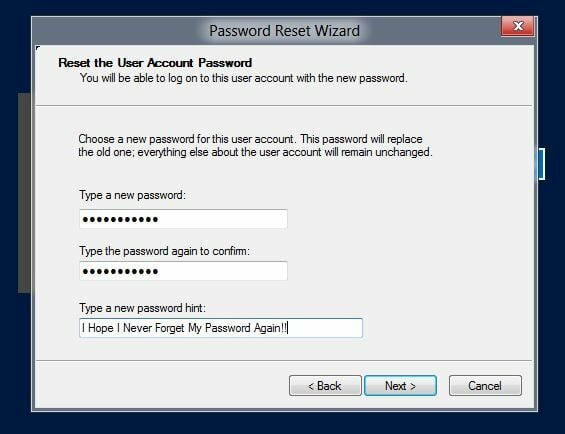 Now enter a new password and you will have a password reset of your PC by just doing this. So this is how you can easily reset your password using a password reset key disk or USB. 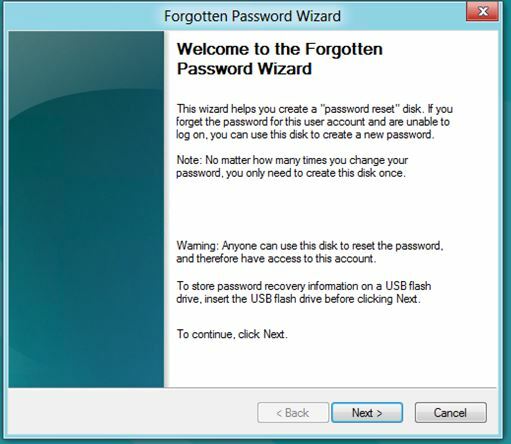 In this post you saw How to Create a Password Reset Disk or USB in Windows 8.